These days they are known as The Unthanks and for good reason as Rachel Unthank explained - It makes me very happy and proud to be changing our name to The Unthanks, and relieved too, as my sister Becky has shared lead vocals with me from the start. Back then when she was just 17, about to start university and unsure about committing indefinitely to our partnership, we chose a name that gave her the freedom that was perhaps key to us still being together now. Back in 2008 they were still Rachel Unthank and The Winterset, and this short session is from December 2008. It makes a fine introduction to the band who are an English folk group from Northumberland. They made their debut performance at Towersey Village Festival in August 2004 and in May 2005, launched their debut album, Cruel Sister at Holmfirth Folk Festival. Cruel Sister received support from a number of DJs on BBC Radio 2 and was subsequently awarded Folk Album of the Year by Mojo magazine. The Smiths - Unreleased Demos and Instrumentals. 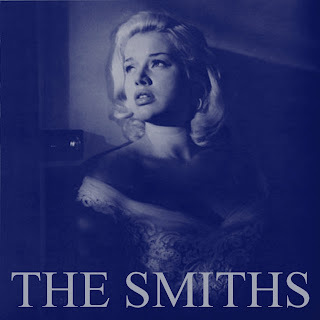 You may have noticed a considerable amount of excitement in the mainstream media including The Word Magazine, Rolling Stone, NPR (American public radio) and the Los Angeles Times in the latter part of December along with a good number of fellow music fan sites regarding the 'release' of a double album vinyl bootleg called The Smiths - Unreleased Demos and Instrumentals. Indeed such was the quality of this material, my first reaction when listening to it initially, was to check out if this was an official compilation and someone was having me on, regarding the material being a bootleg 'release'.